State of the art machine shop, CNC Mills, lathes, drilling centers, straightening machines. Many of these we’ve custom built. 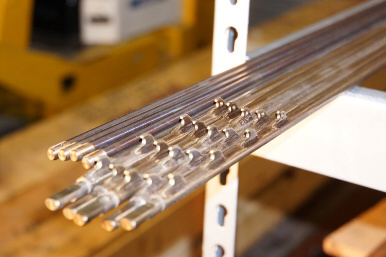 We have also designed and built our own in house, digitally controlled Heat-Treat Oven exclusively for spearshafts. 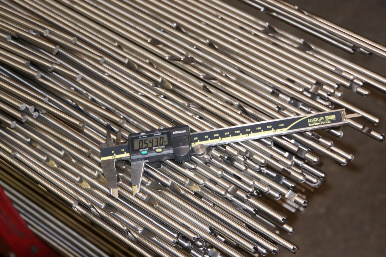 All our machines and materials are Made In The USA and all our machining is done “in-house” under strict quality control methods to ensure the finest spearshafts available. We have total control over the quality of our products. 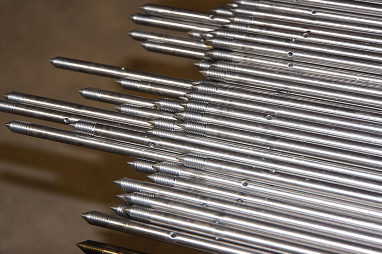 We use only the highest quality domestically purchased, certified, aircraft grade, condition A, 17-4 Stainless Steel that has been Center-less ground to ensure that our spearshafts are the absolute straightest, most rust resistant, and most consistent shafts available.